Dals are protein rich pulses and are a great source of protein for a balanced diet containing little or no meat. I prepare simple dal and variations of it for 3-4 times a week. 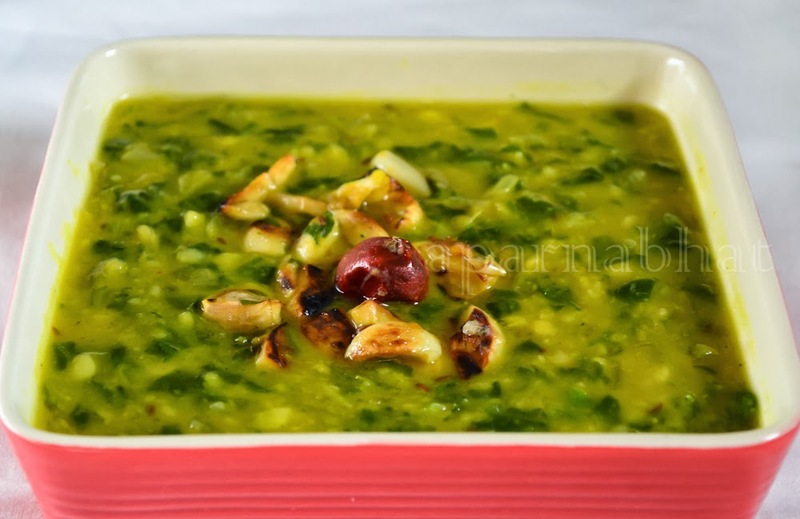 Today's recipe is "Dal Palak", a combination of spinach and pigeon pea [Turdal] seasoned with garlic. Clean wash and soak tur dal for 2 hrs. Pressure cook the dal in sufficient water with turmeric powder upto 3 whistles. Grate the ginger, grate half of the garlic cloves and remaining cloves crush them. Finely chop the onions and green chilly. Take 1 tbsp of ghee in a pan, heat it. Add cumin seeds and when it splutters, add red chilly, garlic and ginger. Stir fry for 1 minute. Add chopped green chilly, chopped onions and saute it till onions turn translucent. Now add chopped palak, turmeric powder, garam masala powder and saute for 3 minutes. Add cooked dal , water to adjust the consistency and salt as per the taste, simmer for 3-4 minutes more. 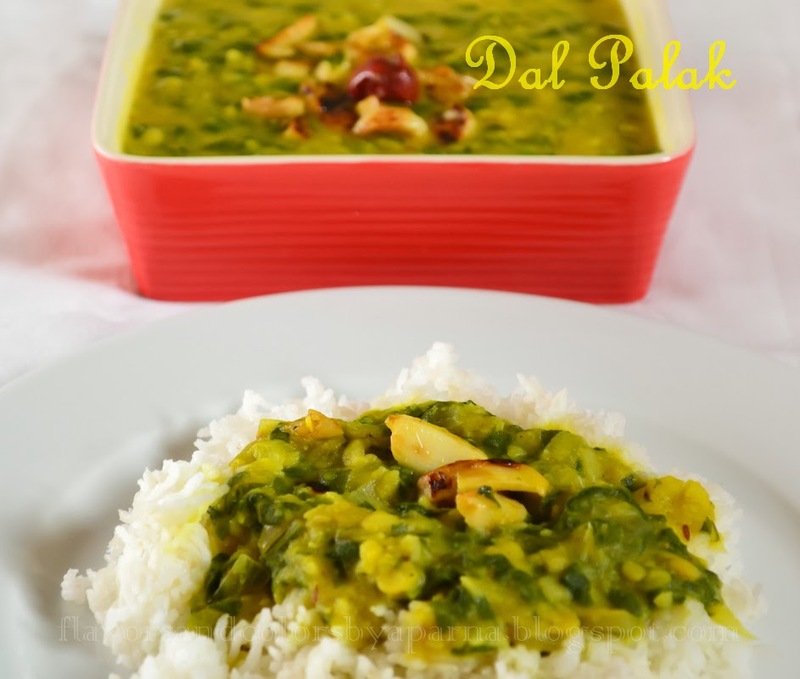 Season the dal with sauted crushed garlic and serve it hot with rice or phulkas.